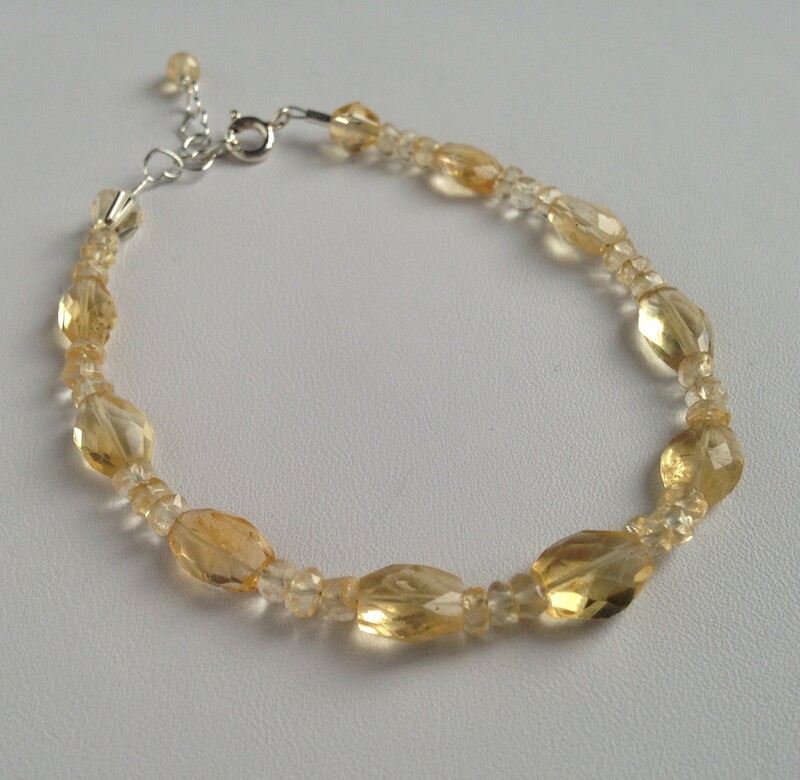 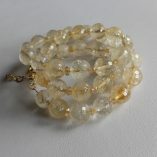 This bracelet is made with stunning faceted citrine stones. 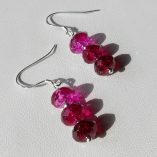 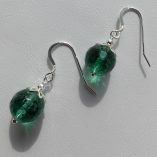 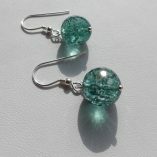 It gives a lovely sparkle when light hits the facets. 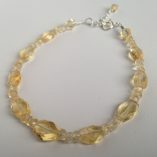 The bracelet is finished with a sterling silver bolt ring clasp and heart extension chain – with a small faceted citrine stone attached to it – and measures 7.5-8.5 inches (19-21.5 cms). 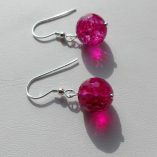 Matching necklace and earrings are available. 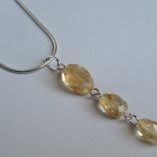 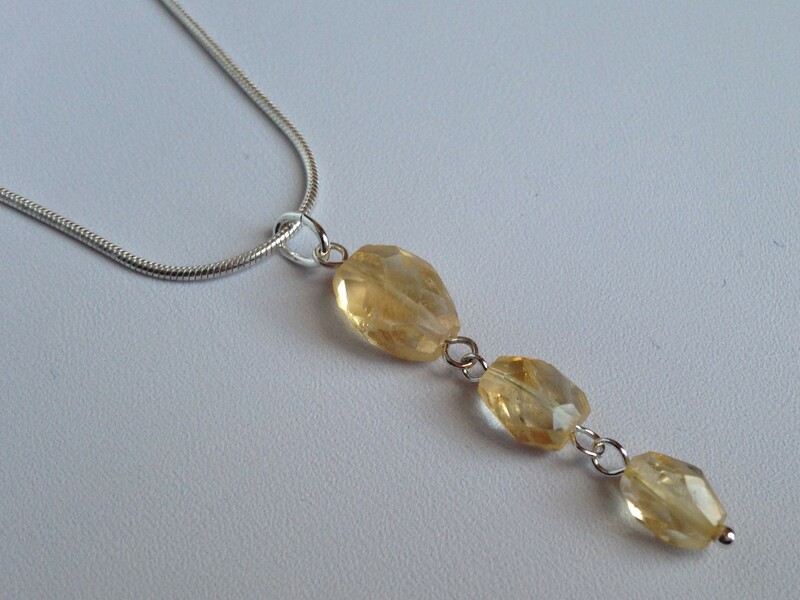 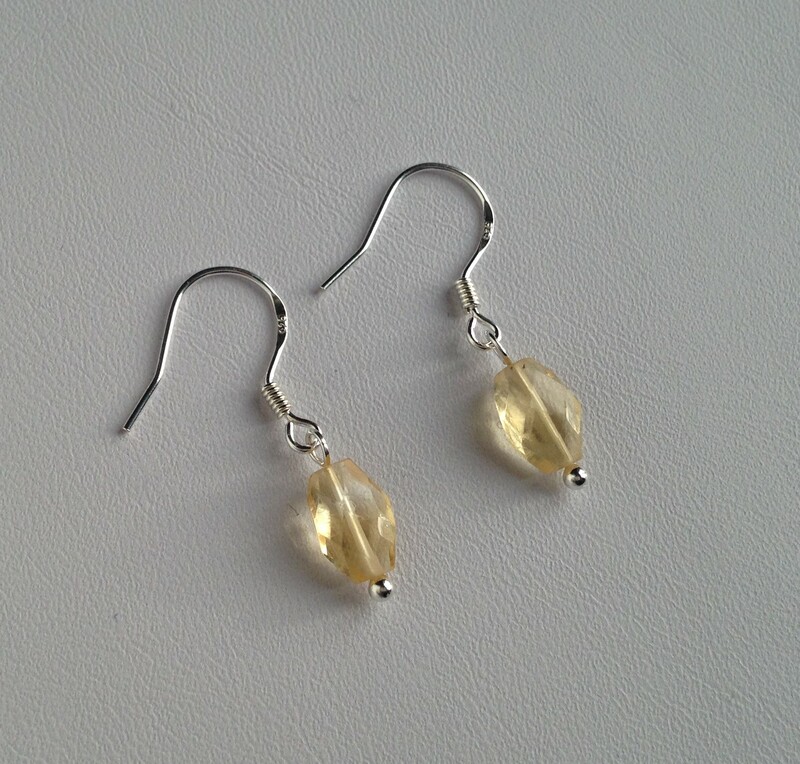 Citrine, also called “the sunshine stone” because of its warm, sunny nature, is November’s birthstone. 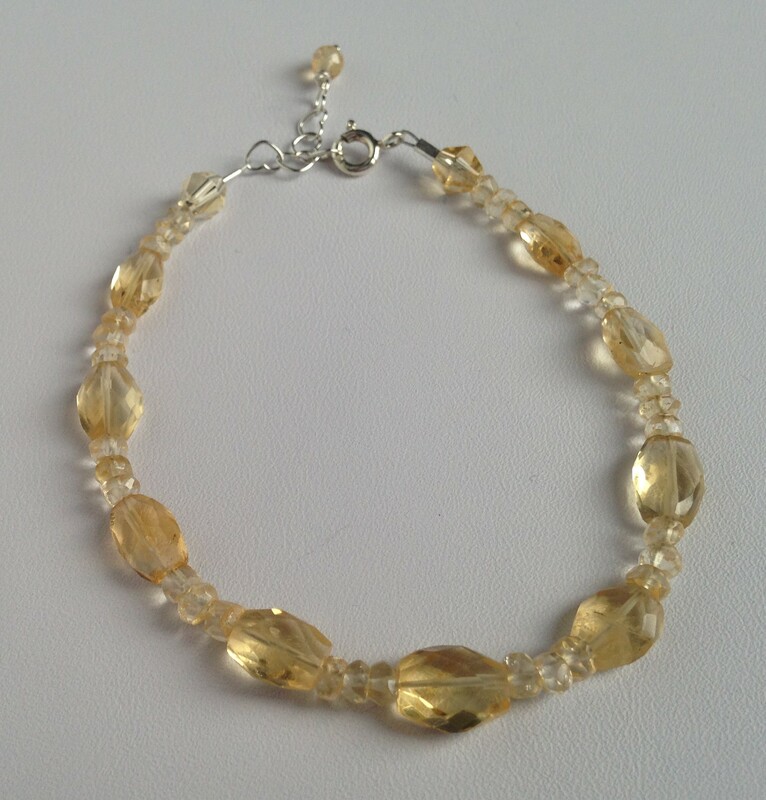 Its energies light up many aspects of life and it is believed to bring success. 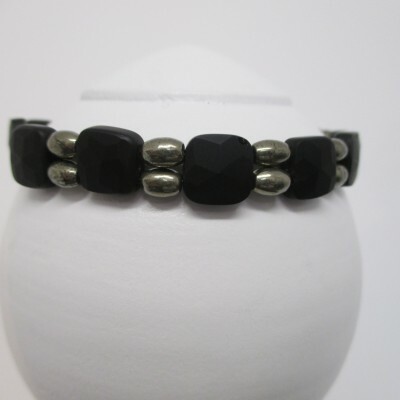 The happy stone can bring happiness to the person who carries or wears it. 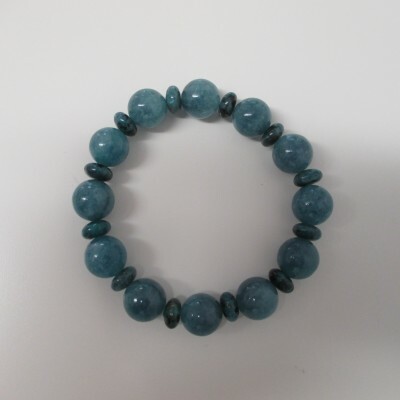 It removes negative energy and can relieve depression, self-doubt, anger and grief. 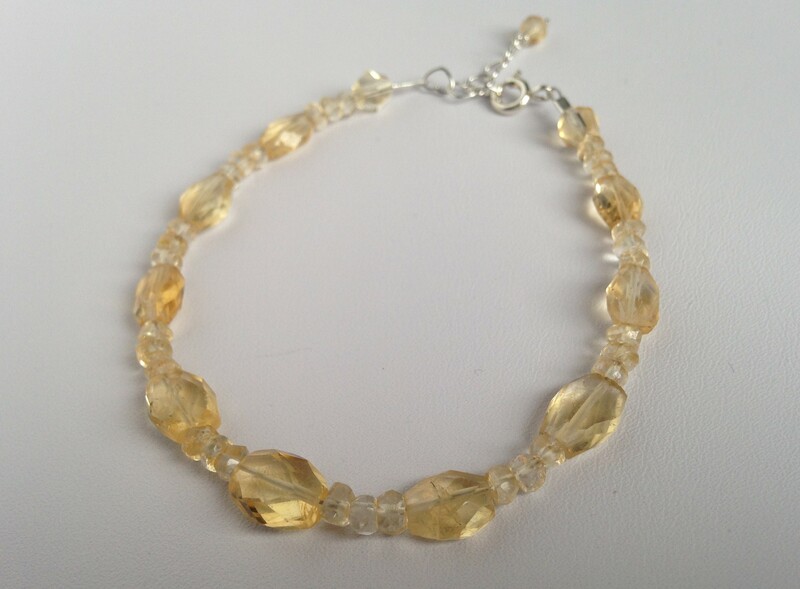 In crystal healing, citrine is said to be beneficial for the digestion, general health, heart, kidney, liver, immune system, diabetes and fibromyalgia. 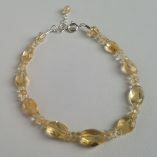 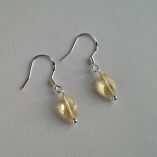 Citrine is also believed to be good for removing toxins.